Requirements<br>3 years<br><br>Is This Position for you?<br>Is a welcoming spirit second nature to you? Do you place others first? Do you derive pride and satisfaction from providing superb customer service? Are you efficient and precise, yet gracious? Are you seeking employment in a dynamic and growing business that demands excellence, where you can make your talents shine and where your dedication and professionalism will truly make a difference? Would you like to build a career in hospitality? 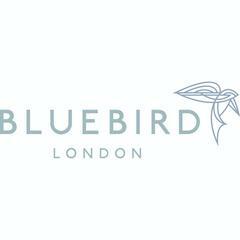 Please apply to join us as a Bartender at Bluebird London.<br><br>Job Details<br>D&D London is looking for a talented F&B professional to take the position of Bartender for Bluebird London. Bluebird London restaurant is located in the Time Warner Center at Columbus Circle<br><br>We are seeking a welcoming, articulate, enthusiastic individual with a passion for fine quality cocktails, spirits, food and wine and for excelling in the hospitality industry. Candidates must have a sincere desire to make guests feel at home and a non-stop drive to deliver outstanding service. High volume experience is a preferred and a polished appearance is required. We are looking for bartenders that will embody our brand, vision, and high level of hospitality, and act as ambassadors of our food and beverage programs.<br><br>Overview of Responsibilities:<br>•	Maintains current knowledge of all popular alcoholic beverages and cocktail recipes<br>•	Prepares all necessary mixers and garnishes prior to start of service and during shift as needed<br>•	Sets up bar service area with all necessary glassware and supplies prior to start of service<br>•	Graciously greeting and guiding guests as the main contact through their experience<br>•	Communicating with kitchen, managers, and sommeliers to ensure guest satisfaction<br>•	Properly managing time and resources to balance the guest experience and the needs of the restaurant<br>•	Accurately preparing cocktails to the highest standards <br>•	Processing checks and accepting payment through a POS<br>•	Upholding service standards to ensure a memorable guest experience<br>•	Maintaining and upholding our company's vision and values<br>•	Demonstrating a passion for details and a willingness to learn<br>•	Taking part in pre-service duties and applicable closing duties<br>•	Exhibiting a familiarity with daily menus<br>•	Participating in service/culinary/ beverage education sessions<br>•	Maintaining a safe, sanitary, and organized work environment<br><br>Ideal Candidates will have:<br>•	At least 3 years of bartending experience in an upscale / fine dining restaurant<br>•	Strong knowledge and interest in food and beverage<br>•	A sincere interest in the hospitality industry<br>•	Able to work in a team environment and welcome feedback and direction<br>•	Capability to stand for prolonged periods of time<br>•	Lift up to 50 pounds of weight<br>•	Ability to reach, bend, stoop, walk, carry multiple objects<br>•	Motivation to provide superb customer service, pride in achieving guest satisfaction and a natural inclination to make people happy<br>•	Professional demeanor and team leadership skills<br>•	Ability to maintain composure in a fast-paced, high-volume environment<br>•	Commitment to excellence<br>•	Desire to learn <br>•	Passion for hospitality<br>•	Positive attitude<br>•	Three professional references<br><br>Required Skills<br>•	Knowledge of POS systems (Aloha preferred)<br>•	Extensive knowledge of spirits and classic/craft cocktails (Gin especially)<br>•	Strong knowledge of wine and classic wine service<br>•	Strong written and verbal communication<br>•	Experience in a Fine Dining Establishment<br>•	Hospitality / Management Degree<br>•	Conflict Resolution<br>•	Customer Service<br>•	Inventory management (ordering familiarity a plus)<br><br>This is an amazing opportunity to be a part of our team and grow with us! <br><br>Our company culture supports the growth and development of our employees and provides opportunities for education and advancement and offer a comprehensive benefits package. At D&D London, we are convinced that the search for excellence relies on the talents of men and women. Our recruitment policy is built on a long-term vision which is really important to us: we want to develop your potential and recognize the value of your work. Everyone can progress if they put their talent, heart and will into it.<br><br>www.bluebirdlondon.nyc<br><br>COMPENSATION<br>Hourly, plus tips. Bluebird Time Warner is posting their hospitality jobs on Harri.